Yungay is the capital of Yungay Province, as well as the main town in the Yungay District. 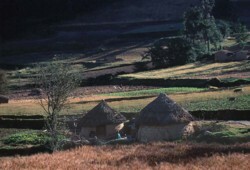 Yungay Province has a population of 60,000 (2000 estimate). The Province of Yungay occupies part of the Callejon de Huaylas, the Conchucos Valley (Yanama), the coast of Ancash (Quillo) and the Huascaran National Park).